One of my favorite ways to relieve stress is gardening, and right now is my favorite time of the year. The garden is in full bloom, all the herbs are big enough to survive some snipping and the vegetables get bigger everyday. When I get home from a long day, the first thing I do is make myself a “Zen Garden,” and head outside. As I slowly sip on this refreshing cocktail, I walk around, dead-heading all the flowers, snipping off tops of herbs to dry upside down in paper bags (it also makes them bushier, you know), rotate all the potted plants so they grow straight, and check water levels. 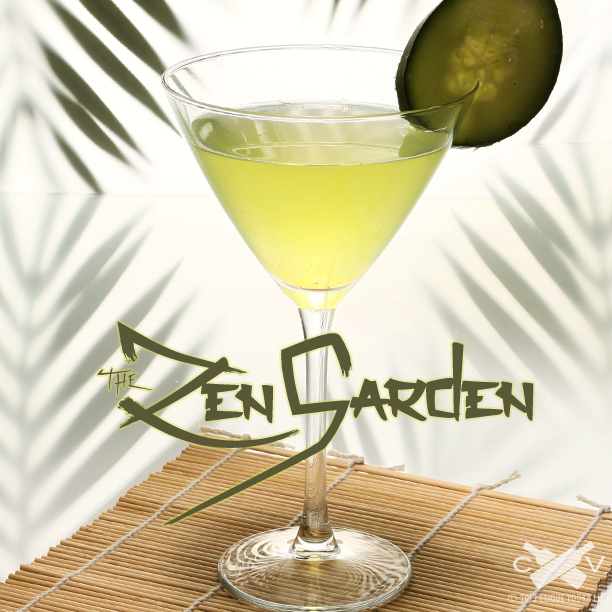 There’s nothing more rewarding than seeing all your summer labor slowly come to fruition (literally), and if gardening isn’t one of your passions in life- I invite you to sip on a “Zen Garden” while you indulge yourself in something that is- I guarantee it will be a match made in heaven. First start by slicing 2 rounds of a cucumber at a 45 degree angle, so they are oblong and have a slight bevel (This isn’t important for these slices, but it’s hard to change the angle of the cut after you start). Throw them into a cocktail tin with 1 1/2 oz Clique Vodka, and muddle very well. Add ice, 1/2 oz Gekkeikan sake, 1/2 oz St. Germain elderflower liqueur, and 1/4 oz fresh lemon juice. Shake very well- until a slight frost forms on the outside of the tin, then double strain (strain with a standard hawthorne strainer, then through a wire mesh strainer) to remove all the pulp and seeds, directly into a chilled cocktail glass. 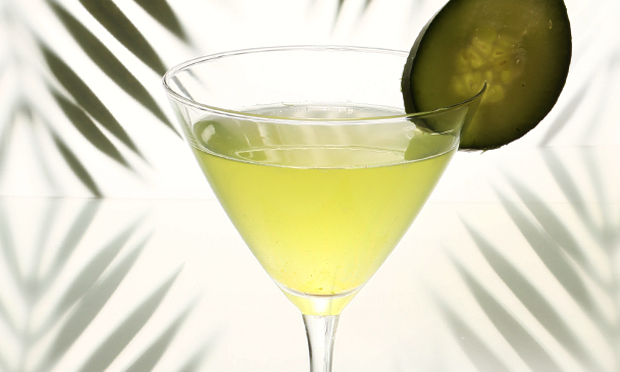 Garnish by slicing off a nice thick oblong round of cucumber, cut a small slit in the bottom, and place on the rim. Bring the cocktail out to your favorite seat on the patio, sit down, take a long relaxing breath, and try a sip. It’s amazing how a simple cocktail can melt away everything weighing on your mind- but aren’t you glad it can? Be sure to tag your Instagram photos with #CliqueShots to show the world how you relax with @CliqueVodka!